A key concept in Jesus’ teaching is the Kingdom of Heaven. The Kingdom of Heaven is the subject of many of Jesus’ parables and is at the heart of his proclamation. The Kingdom of Heaven has, nevertheless, frequently been misunderstood and misconstrued by numerous scholars. The Kingdom of Heaven is neither a place we can visit nor a time for which we must wait. According to Jesus’ teachings, the Kingdom is not up in heaven, it is taking place here on earth. Likewise, for Jesus the Kingdom is not in the near or distant future, the Kingdom has already begun. “The Kingdom of Heaven” is not a phrase that is familiar from the Hebrew Bible, because it does not appear in the Jewish Scriptures. Neither can the phrase “the Kingdom of Heaven” be found in the writings of the Apocrypha and Pseudepigrapha or in the Dead Sea Scrolls. “The Kingdom of Heaven” is not known from the writings of Hellenistic Judaism. The phrase is common only to the New Testament and rabbinic literature. This fact is one example of Jesus’ familiarity with and sympathy for the teachings of the Jewish sages. In rabbinic literature מַלְכוּת שָׁמַיִם (malchūt shāmayim, “the Kingdom of Heaven”) refers to the reign of Israel’s God over his people and over his creation. “Heaven” in the rabbinic phrase does not refer to a place (i.e., heaven) but stands as a substitute for the divine name (i.e., the Tetragrammaton). It should also be noted that in Hebrew the word for “kingdom” in the phrase מַלְכוּת שָׁמַיִם is a verbal noun, which suggests that the focus of the term is on divine activity (God’s reign) rather than a sphere of influence. 4. Which is Correct: “Kingdom of Heaven” or “Kingdom of God”? Detail of Rest on the Flight into Egypt, Master of the Mansi Magdalen (c. 1490 – 1530). Image courtesy of Wikimedia Commons. From the point of view of this parable, the Kingdom of Heaven awaits a future completion. The Kingdom of Heaven is compared to an earthly king whose palace has been destroyed. Only when the king’s authority is recognized in the world is his kingdom established. Likewise, only when the LORD’s authority is recognized by all the peoples of the world will the Kingdom of Heaven be complete. As Notely-Safrai note (109), this midrash on Exod. 15:17-18 looks forward to a fuller realization of the Kingdom of Heaven in the future, when the nations of the world are made to recognize God’s reign by vindicating Israel through the rebuilding of the Temple and punishment of Israel’s enemies. Rabbi Eliezer’s comment unites all the aspects of the Kingdom of Heaven we have discussed thus far, and highlights another facet yet to be explored. Here we see the rabbinic concept of the Kingdom of Heaven linked to Israel’s redemptive history—the defeat of Amalek—which awaits completion in the final redemption when Israel is vindicated before the nations and idolatry is uprooted from the earth. On that day the LORD will be one, and his name one, an allusion to the Shema. Rabbi Eliezer’s comment also makes it clear that Israel’s redemption is not merely a spiritual concept, but anticipates a this-worldly transformation of social and political realities. The realization of the Kingdom of Heaven involves the abolition of idolatry, the liberation of Israel from foreign oppression, and the submission of the Gentiles to God’s rule (or even their complete destruction). Just as the Kingdom of Heaven was revealed through Israel’s redemption from slavery in Egypt, so the completion of the Kingdom of Heaven will result in a future political liberation of Israel from foreign oppression. Thus the rabbinic concept of the Kingdom of Heaven has a political as well as a religious dimension. In other words, had the children of Israel recognized the Kingdom of Heaven in the present, and not merely as a future event, God’s reign would have continued uninterrupted from the time of the splitting of the Red Sea until today. Only God, and no one else, would ever have reigned over Israel. The political aspect of Rabbi Yose ha-Gelili’s statement is clear: the Kingdom of Heaven and the reign of foreign powers over Israel cannot coexist. Kingdoms of flesh and blood are displaced wherever the Kingdom of Heaven has been realized. Thus, there is a certain tension in the rabbinic concept of the Kingdom of Heaven. The sages who articulated this concept rejected the violent tactics of the militant Jewish nationalists, yet they clung to the hope that Israel would be liberated through the realization of the Kingdom of Heaven. The means, and not the ends, were the locus of their disagreement with those who called for armed revolt against the Roman Empire. Rather than resorting to violence, the Hillelite stream of Pharisaic Judaism insisted that redemption would be achieved through unswerving loyalty to the Torah. Comparison of the versions of Rabbi Akiva’s martyrdom in the Babylonian and the Jerusalem Talmuds is instructive. In the Jerusalem Talmud’s version, the phrases “the wicked kingdom” and “the Kingdom of Heaven” do not appear. The version in the Jerusalem Talmud (y. Ber. 9:5 [67b]; y. Sot. 5:5 [25a-b]) does not report the reasons for Rabbi Akiva’s execution, whereas the version in the Babylonian Talmud (b. Ber. 61b) stresses that Rabbi Akiva was martyred simply for teaching Torah in defiance of Caesar’s decree. Although both versions omit any mention of Rabbi Akiva’s support for Bar Kochva’s revolt, it is clear that the Babylonian version intentionally suppressed Rabbi Akiva’s pro-revolutionary stance in order to portray him as a martyr who was executed solely for his commitment to the Kingdom of Heaven. It therefore appears that the Babylonian version has manipulated its source in order to express the anti-revolutionary ideology expressed by the concept of the Kingdom of Heaven. Nevertheless, even in the Babylonian Talmud’s recasting of the story of Rabbi Akiva’s martyrdom, Rabbi Akiva’s commitment to the Kingdom of Heaven remains a political act every bit as much as it was also religious. This reformulation of the story of Rabbi Akiva’s martyrdom shows that the rabbinic concept of the Kingdom of Heaven could express an anti-revolutionary sentiment and a critique of the Roman Empire at the same time. The rejection of militant Jewish nationalism did not imply support for Rome. In the minds of the Jewish sages who developed the Kingdom of Heaven concept, anti-revolutionary sentiment and critique of the Roman Empire were two sides of the same coin. Many of the aspects of the Kingdom of Heaven that we observe in rabbinic literature are also discernible in Jesus’ teaching, but we also find that Jesus spoke of the Kingdom of Heaven in distinctive ways. Jesus referred to the healing of the sick and the driving out of impure spirits as evidence that God was actively working through Jesus to redeem his people. When he sent out his twelve apostles to heal and exorcise demons, Jesus instructed them to proclaim that Ἤγγικεν ἐφ’ ὑμᾶς ἡ βασιλεία τοῦ θεοῦ (“The Kingdom of God has come near to you”; Sending the Twelve: Conduct in Town, L105; Luke 10:9; cf. Matt. 10:7). In other words, God’s redemptive power has broken into the human sphere. On another occasion Jesus declared: “If I cast out demons by the finger of God then the Kingdom of God has come upon you” (Luke 11:20; cf. Matt. 12:28). As Notley observed, the phrase “the finger of God” appears only three times in the Hebrew Bible: once in reference to the plagues in Egypt, when Pharaoh’s magicians recognized the LORD’s power (Exod. 8:19), and twice in reference to the giving of the Torah at Sinai (Exod. 31:18; Deut. 9:10). By this sophisticated biblical allusion, Jesus connected the divine activity taking place through his healing and teaching mission to Israel’s redemption history. In much the same way as the sages connected the Kingdom of Heaven to the redemption from Egypt and the giving of the Torah, Jesus drew a connection between the first redemption and the redemption breaking out through his own mission. As with the Hillelite concept of the Kingdom of Heaven, Jesus stressed that love of neighbor (including even love for one’s enemy), forgiveness of debt, repentance and faithfulness to the Torah would be the catalyst for Israel’s redemption. Nevertheless, Jesus’ understanding of redemption was not spiritualized. According to Luke’s version of Jesus’ prophecy of the destruction and liberation of Jerusalem, Jesus envisioned a time when the “days of the Gentiles” would come to an end (Luke 21:24). Jesus did not abandon the hope for Israel’s freedom and vindication, rather he abandoned the notion that redemption would be achieved through violent means. Jesus’ command to “render unto Caesar” (Matt. 22:15-22; Mark 12:13-17; Luke 20:20-26) should not be taken as an affirmation of the Roman occupation of the land of Israel. Rather, Jesus’ teaching on paying tribute can be compared to the Essene doctrine to relinquish one’s goods “like one oppressed before someone domineering him” (1QS IX, 22-23). According to Jesus, Caesar might be able to demand tribute because the coins with which it was paid bore his image, but one’s life and one’s being is owed to God in whose image human beings are made. This highly subversive saying contrasts the claims and the rights of Caesar with those of God. The negative comparison of God and Caesar is hardly complimentary toward the empire. The political aspect of the Kingdom of Heaven in Jesus’ teaching is also seen in his association of the Kingdom of Heaven with persecution and martyrdom. As with the Jewish martyrs, for whom faithfulness to the Torah became an action within the political arena, Jesus recognized that proclaiming the Kingdom of Heaven could earn the enmity of the Roman authorities and even those within the Jewish community who benefitted from the status quo. Although Jesus did not pose a military threat to the Roman Empire, Jesus’ message that God was actively redeeming Israel through his healing and teaching ministry would not have been welcomed by the Roman Empire, which had no interest in seeing Israel’s liberation. It was the policy of the Romans to stamp out messianic expectations, and it is unlikely that they would have distinguished between peaceful and militant movements. From the Roman point of view, it was the hope of redemption, not only the means, that was threatening. Hope, as all oppressive regimes recognize, is subversive, which is why, throughout history, oppressive regimes have gone to great lengths to crush the hopes of the people who are under their control. One of the most effective means for crushing the hopes of Israel that was practiced by the Roman Empire was the brutal practice of crucifixion. The strongest link between the Kingdom of Heaven and martyrdom in Jesus’ teaching, however, is located in his statement that “Whoever does not take up his cross and come after me cannot be my disciple” (Demands of Discipleship; Luke 14:27; cf. Matt. 10:38). The connection of this saying to the Kingdom of Heaven may not be immediately apparent; however, as we will demonstrate below, Jesus referred to his band of itinerating disciples as “the Kingdom of Heaven.” Jesus’ equation of discipleship with the Kingdom of Heaven, and his warning that his disciples might face persecution and even martyrdom at the hands of the Roman authorities, indicates that Jesus understood that proclaiming God’s reign was a religious action that was also felt within the political arena. The phrase “to enter the Kingdom of Heaven” is a distinctive usage in Jesus’ teaching. In rabbinic literature we find the phrase “to receive the Kingdom of Heaven,” but not “to enter the Kingdom of Heaven.” This distinctive usage highlights an important innovation to the concept of the Kingdom of Heaven in Jesus’ teaching. The statement in Luke 18:17 that “whoever does not receive the Kingdom of God like a child cannot enter it” demonstrates that Jesus was familiar with the Pharisaic-rabbinic phrase “receive the Kingdom of Heaven,” and also marks a point of departure for Jesus’ distinctive usage. In Jesus’ teaching, entering the Kingdom of Heaven refers to joining a clearly defined community. Jesus’ innovative use of the the Kingdom of Heaven to refer to a community that is united for a common purpose is most clearly illustrated in the Rich Man Declines the Kingdom of Heaven incident, in which Jesus compared entering the Kingdom of Heaven to passing a camel through the eye of a needle. Many interpreters have supposed that the rich man forfeited his share in the life of the world to come by declining Jesus’ invitation to follow him, but this conclusion does not concur with Jesus’ prior affirmation that by observing the commandments the rich man would inherit eternal life. What the rich man declined was not eternal life, but an opportunity to join Jesus’ band of disciples, a process Jesus described as “entering the Kingdom of Heaven.” In other words, Jesus referred to the community of disciples who joined his itinerating mission, who studied his interpretation of Torah and practiced his halachah, as the Kingdom of Heaven. Thus, for Jesus, the Kingdom of Heaven was not only a divine activity—God’s rescue mission to redeem Israel—the Kingdom of Heaven was also the community of Jesus’ disciples who participated with God in his redemptive mission. That in Jesus’ teachings the Kingdom of Heaven refers to a specific community is also indicated by the way Jesus could speak of gradations within the Kingdom of Heaven. For example: “Whoever loosens one of the least of these commandments and teaches other people to do so will be called least in the Kingdom of Heaven. Whoever does and teaches them will be called great in the Kingdom of Heaven” (Yeshua’s Words about Torah; Matt. 5:19). Or again: “No one born of woman is greater than John the Baptist. But the least in the Kingdom of Heaven is greater than he” (Yeshua’s Words about Yohanan the Immerser; Matt. 11:11; Luke 7:28). The first example indicates that there are members of great standing within Jesus’ band of disciples, and there are some of lesser standing. Disciples who do not neglect the least, or the “light,” commandments will attain respect and recognition among Jesus’ followers. In the second example we find that Jesus considered John the Baptist, who did not become one of his disciples, to be a great human being. But belonging to his band of disciples meant participating in something of such great significance—for it was through his Kingdom of Heaven movement that God was bringing redemption to Israel—that it surpassed John’s individual greatness. Perhaps Jesus coined the phrase “enter the Kingdom of Heaven,” in order to highlight the communal aspect of his understanding of the Kingdom of Heaven as opposed to the private and individual connotations of the Pharisaic-rabbinic use of “receive the Kingdom of Heaven” to refer to the recitation of the Shema. But why chose the phrase “enter the Kingdom of Heaven,” in particular? A few Jerusalem School scholars have suggested that the expression “enter the Kingdom of Heaven” combines the Pharisaic-rabbinic phrase “receive the Kingdom of Heaven,” with the Essene phrase “enter the covenant.” Like “receive the Kingdom of Heaven” in rabbinic sources, “enter the covenant” is sometimes used in DSS to refer to the recitation of the Shema, but more often “enter the covenant” means “join the Essene community.” The semantic overlap between “receive the Kingdom of Heaven” in the Pharisaic-rabbinic tradition and “enter the covenant” in Essene terminology makes the fusion of these two phrases plausible, while the communal aspect of the Essene phrase “enter the covenant” explains why Jesus might have found such a fusion to be desirable: conjoining the Pharisaic-rabbinic and Essene phrases allowed Jesus to indicate his indebtedness to Pharisaic-rabbinic concept of the Kingdom of Heaven while at the same time extending its meaning to include a communal dimension. If Buth’s suggestion is correct, “enter the Kingdom of Heaven” is one of a handful of examples of Pharisaic-rabbinic/Essene hybrid phrases that Jesus coined. Other such hybrid phrases include “mysteries of the Kingdom of Heaven” and the combination of “poor in spirit” with “Kingdom of Heaven” in the Beatitudes (Matt. 5:3). This rabbinic statement testifies to a tripartite division of history: the days of the prophets, the days of the Messiah, and the world to come. This same tripartite division of history appears to be implied in Jesus’ saying about John the Baptist; however, in place of “the days of the Messiah,” Jesus speaks about “the Kingdom of Heaven.” Jesus’ tripartite division of history is also implied in the Blessedness of the Twelve pronouncement: “Many prophets and messengers desired to see what you see [i.e., the manifestation of the Kingdom of Heaven], but did not see it” (Matt. 13:17; Luke 10:24). As in the statement “the prophets prophesied until John,” so too, in this saying, Jesus divides history into the days of the prophets, and the present era that is witnessing the dawning of messianic redemption. Likewise, in the Rich Man Declines the Kingdom of Heaven pericope, where a rich man refused Jesus’ invitation to join his band of disciples, Jesus speaks of entering the Kingdom of Heaven in the present and inheriting eternal life in the world to come. Jesus’ tripartite division of history conflicted with the two-part division of history witnessed in the sayings of John the Baptist, the Dead Sea Scrolls, and in certain rabbinic traditions. According to the writings of the Essenes, the eschatological era might commence at any moment. The end of history was close at hand. The final judgment of the wicked and the vindication of the righteous was imminent. This two-part division of history is also attested in the sayings of John the Baptist: “Already the axe is at the root of the trees. Every tree that does not bear good fruit will be cut down and thrown into the fire…. One is coming after me who is more powerful than I…the winnowing fork is in his hand and he will purify his threshing floor and gather the wheat into the garner, but the chaff he will destroy with unquenchable fire” (Matt. 3:10-12). For John the Baptist, then, the end of the present age was coming quickly, and fast on its heels was the final judgment. For Jesus, however, there was an intervening period between the normal course of history and the final judgment. In this intervening period, the righteous would coexist with the wicked, for this would be a period of grace in which sinners were called to repentance and welcomed into the Kingdom of Heaven. In this middle period, God’s redemptive mission would be breaking into the human sphere through acts of faithfulness, mercy and love. In this messianic era of redemption, which Jesus referred to as “the Kingdom of Heaven,” evil would indeed be uprooted, but not through coercion, warfare or violence. The Kingdom of Heaven would advance through peacemaking, forgiveness, and discerning the divine image in one’s fellow human being, even discerning it in the face of one’s enemy. In order to counter the expectation of imminent judgment, Jesus told parables in which he compared the Kingdom of Heaven to a net that scoops up good fish together with the bad (Matt. 13:47-50), and to a field in which tares grow among the wheat (Matt. 13:24-30, 36-43). At the final judgment the evil will be sorted from the good, but in the intervening period saints and sinners continue to coexist. In the teachings of Jesus we find numerous points of contact with the rabbinic concept of the Kingdom of Heaven. In agreement with the Jewish sages, Jesus linked the concept of the Kingdom of Heaven to Israel’s history of redemption, both present and future. As with the Hillelite stream of Pharisaic Judaism, which used “the Kingdom of Heaven” as an anti-Zealot slogan, Jesus adopted this phrase because it agreed with his understanding of the means by which God intended to redeem Israel. And, like the sages, Jesus could not escape the political aspect of the Kingdom of Heaven. Although Jesus did not have political ambitions, he was aware that the totalitarian Roman regime would perceive his absolute commitment to the reign of God to be subversive, and he knew that he might be opposed even by some members of the Jewish community who stood to gain from the status quo. These points of agreement with the rabbinic concept of the Kingdom of Heaven notwithstanding, Jesus’ appropriation of the concept of the Kingdom of Heaven also involved innovation. 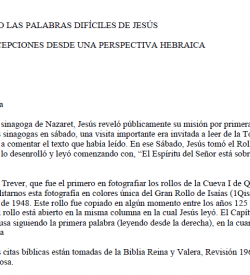 We do not find that Jesus connected the Kingdom of Heaven with the recitation of the Shema. To claim that Jesus rejected this connection would be going too far, but absence of this connection in the Synoptic Gospels cannot be ignored. We also find that, although Jesus was familiar with the rabbinic phrase “to receive the Kingdom of Heaven,” Jesus more frequently spoke about “entering the Kingdom of Heaven.” This distinctive vocabulary appears to be the result of Jesus’ unique application of the concept of the Kingdom of Heaven to his own band of itinerating disciples. Finally, Jesus used the Kingdom of Heaven to signal his understanding of a tripartite division of history. The Kingdom of Heaven, in this sense, referred to the messianic period of redemption, an era of grace and repentance, which would be concluded at some future date with the advent of the Son of Man to render judgment on the earth and inaugurate the eschatological era. For Jesus the concept of the Kingdom of Heaven was multifaceted, and the different nuances of the concept could all be present to varying degrees at the same time. It is not always necessary to choose which nuance of the Kingdom of Heaven Jesus intended in a given saying, and to do so can actually distort his meaning because the many aspects of the Kingdom of Heaven are not mutually exclusive. Observe the fig tree, and all the trees. When they put out [fruit], seeing it for yourselves you know that already summer is near. So also you, when you see these things happening, you will know that near is the Kingdom of God. Amen! I say to you, this generation will not pass away until everything has happened. The heaven and the earth will pass away, but my words will not pass away. This passage probably does go back to a Hebrew source, but there are indications that the text has suffered redaction at the hand of a Greek editor. The phrase “and all the trees” (Luke 21:29), for instance, interrupts the flow of Jesus’ simile, and is likely secondary. Also, the phrase “Kingdom of God” destroys what looks to be a wordplay in Hebrew between קַיִץ (qayitz, “summer,” “summer fruit”) and קֵיץ (qētz, “end”). It seems probable that, in its original form, the saying meant that just as when a fig tree begins to put forth fruit a person knows the summer (קַיִץ) is near, so when the disciples see Jerusalem surrounded by armies they will know that the end (קֵיץ) is near. The editor of Luke’s source either did not understand the wordplay after it had been translated into Greek, or perhaps he intentionally changed the reading to say, “you will know that the Kingdom of God is near.” The verses immediately following this prediction (Luke 21:34-36) describe the coming of the Son of Man. So, in the context of Jesus’ prophecy, it appears that the First Reconstructor (the creator of FR) again equated the Kingdom of God with the coming of the Son of Man. The opinion that the Kingdom of God will be revealed in the generation of the apostles appears to be the innovation of FR, for originally Jesus spoke not of the Kingdom of God, but of the destruction of Jerusalem as the event that would take place during the apostles’ lifetime. The First Reconstructor imported the idea of the Kingdom of God into Jesus’ prophecy, and he evidently repeated the notion that the Kingdom of God would be revealed through the coming of the Son of Man during the apostles’ lifetime in Luke 9:26-27. “The kingdom of God is not coming with signs to be observed; “The days are coming when you will desire to see one of the days of the Son of man, and you will not see it. nor will they say, ‘Lo, here it is!’ or ‘There!’ And they will say to you, ‘Lo, there!’ or ‘Lo, here!’ Do not go, do not follow them. In the saying about the coming of the Son of Man (Luke 17:22-24), Jesus tells his disciples that they should not listen to people who report that the Son of Man has come, because on the Day of the Son of Man everyone will be aware of his arrival. The First Reconstructor refashioned this authentic saying into a saying about the Kingdom of God that does not accord with Jesus’ habitual manner of speaking about the Kingdom of Heaven. Ordinarily, Jesus claimed “the Kingdom of Heaven has come near” or “the Kingdom of Heaven has come upon you.” He did not speak of the Kingdom of Heaven as something that cannot be observed, but rather as a divine activity with empirical results. The redactional activity of FR has given the mistaken impression that Jesus spoke of the Kingdom of God as something distinct from his healing and teaching mission, something that was to be revealed in the apostles’ lifetime following the destruction of Jerusalem. In these passages FR described the Kingdom of God in terms of and in conjunction with the coming of the Son of Man. Luke, who used FR as one of the primary sources for his Gospel, incorporated FR’s secondary usage of the Kingdom of God, but this anomalous usage did not originate with Jesus. Which is Correct: “Kingdom of Heaven” or “Kingdom of God”? Perceptive readers will have noticed that in our discussion of FR’s secondary usage of Kingdom vocabulary, the phrase we considered was “Kingdom of God,” or in Greek, ἡ βασιλεία τοῦ θεοῦ. The phrase Jesus himself would have spoken in Hebrew is מַלְכוּת שָׁמַיִם (malchūt shāmayim, lit., “kingdom of heavens”). In the Gospels we find both ἡ βασιλεία τοῦ θεοῦ (hē basileia tou theou, “the kingdom of the god”) and ἡ βασιλεία τῶν οὐρανῶν (hē basileia tōn ouranōn, “the kingdom of the heavens”). However, the distribution of “Kingdom of Heaven” vs. “Kingdom of God” is far from even. Luke and Mark exclusively write ἡ βασιλεία τοῦ θεοῦ, whereas Matthew predominantly writes ἡ βασιλεία τῶν οὐρανῶν, but occasionally writes ἡ βασιλεία τοῦ θεοῦ. How are we to account for this unusual phenomenon? Hypothesis 1: Matthew is responsible for changing ἡ βασιλεία τοῦ θεοῦ into ἡ βασιλεία τῶν οὐρανῶν. According to this view, when the Hebrew Life of Yeshua was translated into Greek, the translator made an exception to his usual practice of rendering his Hebrew source in a highly literal style and chose instead to translate מַלְכוּת שָׁמַיִם as ἡ βασιλεία τοῦ θεοῦ. The Greek translator’s motivation for making this exception to his usual practice may have been to avoid confusion for his non-Jewish, Greek-speaking readers. For Gentile readers, “Kingdom of Heaven” might have been unclear in two ways: 1) it might have sounded as though the kingdom were located in heaven or even in the sky; 2) “heavens” might suggest a multiplicity of deities (the Greek pantheon) to Gentiles from a polytheistic background. Once the Greek Translation was made, ἡ βασιλεία τοῦ θεοῦ was copied by Anthology, followed by FR, followed by Luke, followed by Mark. Matthew, however, decided to change ἡ βασιλεία τοῦ θεοῦ into ἡ βασιλεία τῶν οὐρανῶν for reasons of his own. Support for the hypothesis that Matthew is responsible for changing ἡ βασιλεία τοῦ θεοῦ into ἡ βασιλεία τῶν οὐρανῶν is found in the few places where Matthew actually does write ἡ βασιλεία τοῦ θεοῦ (Matt. 12:28; Matt. 19:24; Matt. 21:31, 43). Matthew 19:24 is a Triple Tradition pericope (Rich Man Declines the Kingdom of Heaven), and is therefore the weakest example, since it is possible that in this instance Matthew simply copied the reading he found in Mark 10:25. Matthew 21:31 and Matt. 21:43 are much stronger examples since Matt. 21:31 comes from a unique Matthean pericope (Two Sons parable), and Matt. 21:43 is unique to Matthew, despite belonging to a Triple Tradition pericope (Wicked Tenants parable). These examples may therefore reflect the reading of Matthew’s non-Markan source. Matthew 12:28 is also a very strong example since this verse appears in a Triple Tradition pericope (The Finger of God), but in a verse that is omitted in Mark. The only way Matthew and Luke could have agreed against Mark to include this verse is by relying on their shared, non-Markan source, and therefore their agreement to write ἡ βασιλεία τοῦ θεοῦ in this pericope strongly suggests that this was the reading they both found in Anthology. Hypothesis 2: Luke is responsible for changing ἡ βασιλεία τῶν οὐρανῶν, which he found in his Hebraic source (Anthology), into ἡ βασιλεία τοῦ θεοῦ. 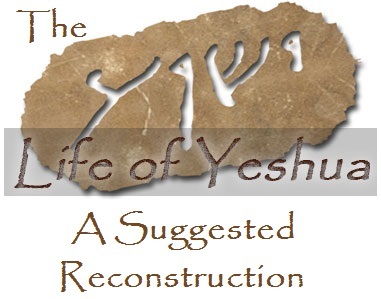 According to this view, the Greek translator of the Hebrew Life of Yeshua did not make an exception to his highly literal style of translation when it came to מַלְכוּת שָׁמַיִם. The editor of Anthology copied ἡ βασιλεία τῶν οὐρανῶν from the Greek Translation, but the First Reconstructor sometimes, perhaps always, changed ἡ βασιλεία τῶν οὐρανῶν into ἡ βασιλεία τοῦ θεοῦ for the sake of his non-Jewish, Greek-speaking readers. That the First Reconstructor would make such a change conforms to his usual practice of improving the Greek style of his revised material. Luke observed the change to ἡ βασιλεία τοῦ θεοῦ in FR, adopted it, and decided to systematically replace ἡ βασιλεία τῶν οὐρανῶν wherever he found it in Anthology, for the same reason that had motivated FR: Luke addressed his Gospel to a non-Jewish, Greek-speaking audience. The author of Luke, who was a traveling companion of Paul, was probably aware that Paul himself used the phrase “Kingdom of God” when writing in Greek (cf. 1 Cor. 6:10; 15:50), as shown, for example, in Acts 14:22 (cf. Acts 19:8). Luke’s desire to use Paul’s vocabulary may have been an additional factor that influenced his decision to systematically replace ἡ βασιλεία τῶν οὐρανῶν with ἡ βασιλεία τοῦ θεοῦ. When Matthew sat down to compose his Gospel, he found “Kingdom of God” in Mark and “Kingdom of Heaven” in Anthology. When copying a pericope, Matthew’s habit was to weave words from Anthology’s parallel into the text of Mark with the result that Matthew often replaced “Kingdom of God” in Mark with “Kingdom of Heaven.” In Double Tradition pericopae, where Matthew’s source was Anthology, we find that Matthew always writes ἡ βασιλεία τῶν οὐρανῶν, and in unique Matthean pericopae, where Matthew must either be relying on Anthology or writing his own composition, Matthew writes “Kingdom of Heaven” 12xx and “Kingdom of God” 1x. Luke is known to de-Judaize his material in order to make it more understandable for a non-Jewish, Greek-speaking audience. For example, Luke changed “the poor in spirit” (Matt. 5:3), a phrase familiar from Qumran, to “the poor” (Luke 6:20). Luke changed “Our Father who art in heaven” (Matt. 6:9), a familiar phrase from rabbinic literature, to “Father” (Luke 11:2) because Greek doesn’t like possessive pronouns and “in heaven” could be misleading to a Gentile audience. We also find that Luke often omitted “amen,” or changed it to “truly” or “yes” when he found it in his sources, presumably because amen is a foreign word that would not have been familiar to non-Jewish Greek-speakers. Matthew’s tendency is not toward Judaism, but is rather distinctly anti-Jewish. Only Matthew has the Jews say “Let his blood be upon us and on our children” (Matt. 27:25). Only Matthew implicates the Pharisees in Jesus’ passion. Only Matthew has Jesus reject the “Sons of the Kingdom” in favor of “another nation” (cf. Matt. 8:12; 21:43). The passages in Matthew that appear to be more especially Jewish are not the result of his feelings of sympathy for Jews and Judaism, but evidence of his reliance on an excellent Hebraic Greek source. An author who is totally consistent in his use of terminology may be suspected of editing his sources to achieve consistency. In other words, total consistency may be indicative of an agenda. Luke is totally consistent in his use of ἡ βασιλεία τοῦ θεοῦ. Matthew, on the other hand, is inconsistent. On one occasion Matthew accepted ἡ βασιλεία τοῦ θεοῦ from Mark (cf. Matt. 19:24). On two other occasions Matthew wrote ἡ βασιλεία τοῦ θεοῦ even though we believe his source probably read ἡ βασιλεία τῶν οὐρανῶν (Matt. 12:28; 21:31). If Matthew had an ideological motivation for replacing ἡ βασιλεία τοῦ θεοῦ with ἡ βασιλεία τῶν οὐρανῶν, why was he unsuccessful in three instances? In order for Matthew to know that behind ἡ βασιλεία τοῦ θεοῦ in the pre-synoptic sources was the phrase מַלְכוּת שָׁמַיִם in the Hebrew Life of Yeshua, Matthew would have needed to know Hebrew, since the phrase ἡ βασιλεία τῶν οὐρανῶν is not found in LXX or in Jewish literature composed in Greek. But there is no evidence that the author of Matthew knew Hebrew. To the contrary, in the passages that are unique to Matthew and clearly the product of Matthew’s pen, Matthew writes in a popular Greek style, not in Hebraic Greek. Lindsey’s hypothesis predicts that where Matthew is independent of Mark, his text is likely to be as Hebraic as Luke’s, or even more Hebraic than Luke’s, because Matthew’s only source apart from Mark is the very Hebraic Anthology. In pericopae where Luke relied on FR and Matthew relied on Anthology, Matthew was often able to achieve a more Hebraic text than Luke’s. It is hardly surprising, therefore, to find that in Double Tradition pericopae Matthew has the more Hebraic ἡ βασιλεία τῶν οὐρανῶν opposite Luke’s ἡ βασιλεία τοῦ θεοῦ. Of course, not all instances of ἡ βασιλεία τῶν οὐρανῶν in Matthew are necessarily copied from Anthology. Having seen ἡ βασιλεία τῶν οὐρανῶν so frequently in Anthology, Matthew sometimes inserted the phrase where it did not originally belong. In a similar way, we have seen that some instances of ἡ βασιλεία τοῦ θεοῦ in Luke do not reflect Jesus’ usage of מַלְכוּת שָׁמַיִם. I have some hesitation about Tilton’s understanding of the political aspects of the Kingdom of Heaven in Jesus’ teaching. Here are the reasons why. Jesus was not unaware that Israel’s liberation from foreign rule was inherent in the concept of redemption, but he ignored it. It distracted and detracted from the urgent necessity of getting more and more people under God’s reign. While the winds of despair and rebellion engulfing the land of Israel swirled around Jesus, although he wasn’t a pacifist, he never waivered in his belief that armed resistance to the Roman rulers was wasted time and energy—there were just too many dead, oppressed, lepers, blind, deaf and lame, in both the physical and spiritual senses. Now was the long-awaited time of salvation, and in spite of, and even because of, the political situation, the work of Jesus and his disciples was of extreme urgency. In the midst of passionate cries for armed rebellion, in the midst of a deteriorating political situation, Jesus consistently proclaimed that now was the time of salvation and spiritual redemption. Jesus’ interest was in יְשׁוּעָה (yeshū‘āh, “help”), in the physical senses of this word, but more importantly, in its spiritual senses (“salvation”). The kingdom that Jesus and his disciples proclaimed was not a political, nationalistic, or military kingdom, although some who perhaps had not listened long enough or closely enough to their message may have misunderstood it, taking “kingdom” in a political sense as meaning an armed struggle, and taking Jesus’ claim to be the long-awaited Messiah as a call to armed resistance. Rather, when Jesus and his disciples referred to “kingdom,” they meant a kingdom of personal surrender to a loving and benevolent God who brings down his rain on saints and sinners alike (Matt. 5:45), a kingdom of “righteousness, peace and joy in the Holy Spirit” (Rom. 14:17). Jesus’ call to discipleship meant putting God’s Kingdom first in one’s life, even putting it above life itself. It meant being willing to die for the Kingdom, but Jesus’ “taking up your cross” did not mean joining the armed resistance. Jesus was likely talking about the difficulty of a disciple’s life of service to a sage (שימוש חכמים, shimūsh ḥachāmim). Davies suggested that “take up your cross” was a rabbinic technical term for following a rabbi as his servant. Although frequently Roman authorities, ignorant of Jewish custom and insensitive to Jewish religious feelings, caused civil disobedience, too often responsibility for outbreaks of violence could be laid at the feet of Jewish residents of the land of Israel who fell prey to human emotions and calls by zealots and terrorists for revenge on the Romans and throwing off of the foreign yoke. Inept Roman administrators and cruel and adulterous Jewish kings, such as Herod the Great and his sons, made matters much worse, but it was those whose hearts Jesus’ message had not reached who, following their own human passions, indirectly contributed to the deaths of a huge part of the Jewish residents of the land, as well as the destruction of their Temple in Jerusalem. Jesus was well able to show righteous indignation, for instance, when he saw the commercialism and graft in the Holy Temple of God. He took aside the hawkers (from whose profits the Sadducean high-priestly mafia took a huge cut) and chastised them for their impious activities, saying, “It is written, ‘My house will be a house of prayer, but you have made it a den of thieves'” (Luke 19:45-46; cf. Isa. 56:7; Jer. 7:11). Jesus was arrested by the Gentile slaves of the high priest Caiaphas (Matt. 26:3, 57), who instigated his death, bringing him to the Roman prefect Pontius Pilate on trumped up charges. Still later, the Sadducean priestly families persecuted Jesus’ disciples, executing, for example, Jesus’ brother James in 62 C.E. (Jos., Ant. 20:197-200). This execution took place during the high priesthood of Ananus the son of Ananus, greatly offending some of the Pharisees of the city (Jos., Ant. 20:201) who viewed James as a righteous man. Bivin and I are in substantial agreement on a number of issues regarding the political aspect of the Kingdom of Heaven in Jesus’ teaching. Most importantly, Bivin and I agree that Jesus was not a zealot and had no intention of leading a military uprising. I believe that Jesus’ ethic of peacemaking and universal love was explicitly opposed to vengeance, hatred and violence. 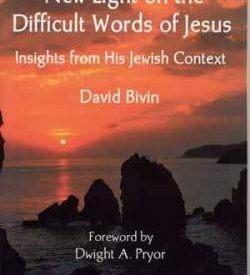 We agree, as Bivin has it, that “The kingdom that Jesus and his disciples proclaimed was not a political, nationalistic, or military kingdom.” Bivin and I also agree that Jesus’ sermon in Nazareth was provocative precisely because Jesus did not call for vengeance upon the enemies of Israel. It appears that the school of Shammai, which dominated the Pharisaic party in the first century C.E., was closer to the nationalist populist center of the political spectrum in Jesus’ time. It was not until after the destruction of the Temple that the Hillelite stream of Pharisaic Judaism became dominant. Thus, Jesus’ anti-militant stance was probably a minority position in Nazareth, and may have seemed disloyal and unpatriotic to the members of the synagogue who listened to his sermon. Finally, I agree with Bivin that “Jesus’ ‘taking up your cross’ did not mean joining the armed resistance.” One did not have to be a militant Jewish nationalist to resent the injustice of foreign oppression. Twentieth-century disciples of Jesus such as Martin Luther King, Jr., Mother Teresa and Desmond Tutu prove that nonviolent religious movements can have a profound political aspect without attempting to topple governments by resorting to violence. I believe our difference of opinion regarding the political aspect of the Kingdom of Heaven in Jesus’ teaching is one of nuance and emphasis. 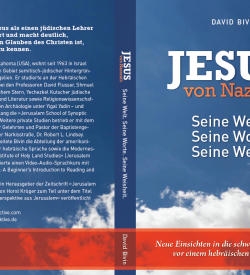 Bivin maintains that “Jesus was not unaware that Israel’s liberation from foreign rule was inherent in the concept of redemption, but he ignored it.” Thus, in Bivin’s opinion there appears to be a dichotomy between the political and the spiritual. Essentially, Jesus abandoned the hope of political liberation in favor of a spiritual experience of salvation. I regard Bivin’s alternatives as a false dichotomy, and maintain that one need not choose between the political and the spiritual dimensions of the Kingdom of Heaven. In other words, I believe that Jesus shared the yearning of his people for political liberation from the Roman Empire. Although I am convinced that Jesus rejected violent resistance, it appears to me that Jesus expected that God would miraculously bring about Israel’s redemption without weapons or bloodshed by means of his followers’ participation in the Kingdom of Heaven. Israel’s liberation from the Roman Empire was, in my opinion, only one aspect of Jesus’ rich concept of the Kingdom of Heaven. Complete redemption would include the liberation of the whole creation from the power of Satan. Political oppression is only one manifestation of Satan’s reign, but there are others: fear, disease, ignorance, inequality, injustice, idolatry, sexual immorality and violence are all aspects of Satan’s reign that the Kingdom of Heaven dismantles. The rule of one people by another is inherently unjust, and is one of the evils that the Kingdom of Heaven addresses. Therefore, I cannot say that Jesus ignored the injustice his people suffered, and I have attempted to demonstrate that many of Jesus’ statements were critical of Roman imperialism. It is true, as Bivin points out, that the Roman-appointed high priests caught up with Jesus before the Romans did. On the other hand, Antipas, the Roman-appointed tetrarch of the Galilee (Jos., J.W. 17:94), had been seeking to execute Jesus for some time (Luke 13:31), and when the high priests handed Jesus over to the Roman governor of Judea, Pilate executed Jesus as an enemy of the Roman state. I do not regard the fact that the pro-Roman high priests got to Jesus first as proof that the Roman authorities looked favorably on Jesus’ message, his movement, or his hope for redemption. It seems to me that the pro-Roman high priests understood the subversive political implications inherent in Jesus’ teaching on the Kingdom of Heaven and perceived that it struck at the basis of their power: the Roman military presence in the land of Israel. καὶ ἐν τῷ ἔτει τῷ δευτέρῳ τῆς βασιλείας Ναβουχοδονοσορ συνέβη εἰς ὁράματα…. In this saying Rabban Yohanan ben Zakkai criticizes those who set up a yoke of flesh and blood and who cast off the yoke of Heaven. The terminology is similar to that of Hananiah the prefect of the priests. Does “murderers” who kill “in the open” refer to terrorist groups like the Sicarii? Does “whisperers…in the Sanhedrin” refer to the chief priests, and in particular those of the House of Hanan (cf. t. Men. 13:21; b. Pes. 57a)? If so, then Rabban Yohanan ben Zakkai criticized both the militant Jewish nationalists on one extreme and the high priests who colluded with the Romans on the other. If so, Jesus was not unique in his rejection of violent insurgence and condemnation of the corrupt priesthood. In Tilton’s opinion, there is an implied critique of the Roman Empire in Jesus’ teaching about the Kingdom of Heaven, which Jesus contrasted with human governments. On the political critique implied by proclaiming God’s reign, see Paula Fredriksen, From Jesus to Christ: The Origins of the New Testament Images of Jesus (New Haven: Yale University Press, 1988), 124-125. The persecutions in the days of Antiochus IV (second cent. B.C.E. ), for example, were primarily motivated by political interests. According to 1 Macc. 1:41, Antiochus sought to unite his empire by abolishing the ancestral customs of the various peoples he ruled. By creating a single national identity, Antiochus sought to solidify his political hegemony. Jewish commitment to Torah in the face of persecution was motivated by religious piety, but their loyalty to the God of their fathers entered the political arena because it interfered with Antiochus’ political program. Question about what Lindsey means in his article, “The Kingdom Of God: God’s Power Among Believers.” which is cited here. Did first century Jews refer to Qumran literature as, ‘Scriptures’? If so, could that help us understand what Paul is saying when he says in 1 Cor. 15:4 that Jesus died and rose again according to the ‘scriptures’? Is Paul making a reference to a dying and rising Messiah type figure in Qumran literature, possibly in 4Q372? Or is Paul talking about tanakh? The full sentence from which you quoted provides the answer to your first question. In the Sidebar to Lindsey’s article, Safrai wrote: “It [i.e., the expression מַלְכוּת שָׁמַיִם (malchūt shāmayim, “Kingdom of Heaven”)—JNT] does not appear in the Scriptures, the literature created by the Essenes (the Dead Sea Scrolls), or in the Apocrypha and Pseudepigrapha.” In other words, there are three collections of ancient Jewish literature where “kingdom of heaven” does not occur: 1) Scripture, 2) Dead Sea Scrolls, 3) Apocrypha & Pseudepigrapha. So Safrai did not intend to imply that non-Essene Jews of the first century would have accepted Essene writings as Scripture. Whether the Essenes themselves would have considered (some of) their extra-biblical writings to be Scripture is another question, which is debated by scholars. I think we can say with reasonable certainty that when Paul referred to Jesus’ dying and rising “according to the Scriptures,” the Scriptures he referred to are the Torah, Prophets and Writings he quoted in his letters. That being said, the Dead Sea Scrolls and other ancient Jewish sources offer us a glimpse into how the Scriptures were being interpreted and applied in the Second Temple Period, when Paul wrote his letters. These ancient Jewish sources can help us to understand how and why Paul and other early followers of Jesus interpreted the Scriptures in the (often surprising) ways they did. Could it be that this was Yeshua’s way of ‘putting a fence around torah’? In other words, he’s contrasting his halakah with that of the Pharisees’. Could he be saying that, ‘If you stop the yetzer ha’ra in the heart, you’ve gone one step further from the transgression of torah’? In effect, having circumscribed the Pharisees fence of halakah by his own, he’s managed to make his teaching more desirous. So by saying that ‘unless your righteousness exceeds that of the Pharisees … you won’t enter my movement’. Is this some sort of rabbinic sophistication, maybe even a form of kal v’achomer which builds an argument that places the safeguard, which would prevent transgression, further from the safeguard his contemporaries proposed; thus undercutting their ruling and proving it is not as valuable? We’re so pleased to hear that you found our article to be helpful. A great deal of work went into it, so it is encouraging to hear that it is bearing fruit. With respect to your question about righteousness that exceeds that of the Pharisees, I think your suggestion about kal va-homer might be on to something. I have a suspicion that Jesus’ statement about greater righteousness (Matt. 5:20) has to do with his exegetical approach in the Sermon on the Mount. 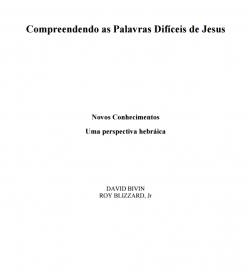 There Jesus contrasts one a minimalist mode of interpretation with his own more rigorous approach. This is especially clear in his approach to the prohibition of murder (Matt. 5:21-22). Jesus opposed an approach that attempted to limit the scope of the commandment and advocated an approach that took the ethical spirit of the commandment and applied it even to and even wider set of circumstances. In Jesus’ view the prohibition against murder should not merely be read to determine how to punish murderers, but should regarded as laying down an ethical principle, vis. “all human beings are created in God’s image,” and therefore people must not be treated with contempt. Jesus expresses a similar approach when he says, “You give a tenth of your spices: mint, dill, and cumin; but you neglect the weightier matters of the Torah. You should practice the latter without neglecting the former” (Matt. 23:23). A similar pattern to what is found in the Sermon on the Mount is attested in the early Christian work, The Teaching of the Twelve Apostles (or the Didache), which was based on a Jewish treatise which scholars refer to as the Two Ways. There we read, “Flee from all evil and everything that is like it. Do not be an angry person, for anger leads to murder. Nor should you be zealous or quarrelsome or hot-tempered, for from these murders arise” (Did. 3:2). In the Sermon on the Mount and in the Jewish Two Ways we find an exegetical pattern which assumes that a light transgression will ultimately lead to a major transgression, much like the form of a kal va-homer argument. Serge Ruzer, “Antitheses in Matthew 5: Midrashic Aspects of Exegetical Techniques,” in The Sermon on the Mount and its Jewish Setting (ed. Hans-Jürgen Becker and Serge Ruzer; Cahiers de la Revue Biblique: Paris, 2005), 89-116. Huub van de Sandt and David Flusser, The Didache: Its Jewish Sources and its Place in Early Judaism and Christianity (Minneapolis: Fortress, 2002), 193-237. David Flusser, “‘It Is Said to the Elders’: On the Interpretation of the So-called Antitheses in the Sermon on the Mount” (jerusalemperspective.com). Absolutely one of the best articles I’ve read. You both did an outstanding job of research and writing.